Greg Johnson - Compass Financial Group, Inc.
Greg began his financial planning career in 2007 after graduating from The Ohio State University with a degree in Financial Planning. 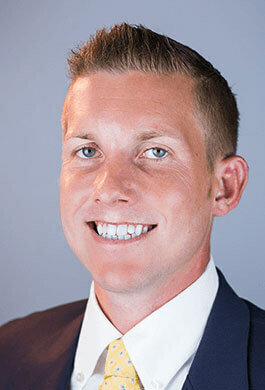 He joined Compass Financial Group in January 2013 with the focus of helping clients reach their financial goals. Greg is a CERTIFIED FINANCIAL PLANNER™, a Chartered Advisor in Philanthropy®, a Retirement Income Certified Professional®, and a member of the Financial Planning Association. He resides in Upper Arlington with his wife Rachael and is a passionate Buckeye fan. He is an active member of various community and volunteer programs throughout the community. Greg enjoys soccer, golf and spending time with friends and family.